The champ is back, the prodigal son has returned to the mat. And there's no doubt, in his final year in a Westview singlet, Joey Coste wants to bring the Wildcats with him. A year after sitting out for most of his junior season due to undisclosed reasons, Coste is bigger, faster, stronger and even more mentally tough than he was when he won a Class 6A state title as a freshman and came in second place as a sophomore. 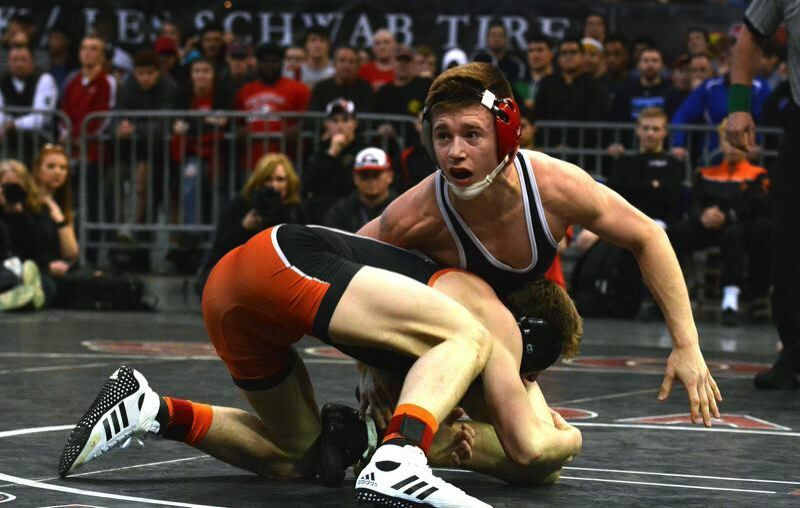 With the copious amount of state placers and state qualifiers back in the fold, Westview was already going to contend for a Metro League title. Add a wrestler of Coste's caliber to the lineup and suddenly the Wildcats can start dreaming of a top-five finish as a team at state. "I expect great things from Joey," Westview head coach Michael Delaney said. "He has been working really hard, has his body and his mind in the correct place." Westview is a program that takes on elite competition both in-season and during the off-season in hopes of contending with the likes of Roseburg, Newberg and David Douglas. The Wildcats host the Rose City Championship on Dec. 7 and 8. It's the largest and toughest tournament in Oregon with schools from three states represented. Top Oregon teams include Newberg, Sprague, David Douglas, West Linn, Dallas and Sweet Home, not to mention about 15 schools from Washington with some state title caliber teams. Later in the year Westview will enter the Pac Coast-Vancouver and Five Counties tournaments, as well as taking on West Linn in a head-to-head dual meet to close out the regular season. "Our goal is development on a daily basis," Delaney said. "Our schedule is a diverse and tough as it comes. We see competition from all over the West Coast and it has really helped develop our team and prepare them for the state tournament. If we continue the growth we expect to be competing for medals on the second day of the state tournament." Omar Angel Blas placed fourth in state last year, Tre Blasingame is a two-time state placer and Nushi Behbehani-Escobar was a state placer in 2016. Other returning state qualifiers include Zeeshan Naeem, Anthony Perez, Bo Munley, Nicolus Alva. Perez transferred from Century over the summer. Other notables include Blake Hernandez, Alex Barrett, Tyler Zekula and Nathan Blasingame. With Century out of the Metro League, the district could boil down to an Aloha-Westview free-for-all both during the regular season and at the district tournament in February. Westview takes on Aloha at Aloha High School on Jan. 17 at 7 p.m. In the OSAA Today preseason statewide coaches poll, Aloha was picked ninth with 41 votes while Westview was 10th with 35. "These kids lead the others in the room and are all constantly trying to improve their game," Delaney said. "I think those kids all have a chance to make a run in the post-season. We just need to continue the development."